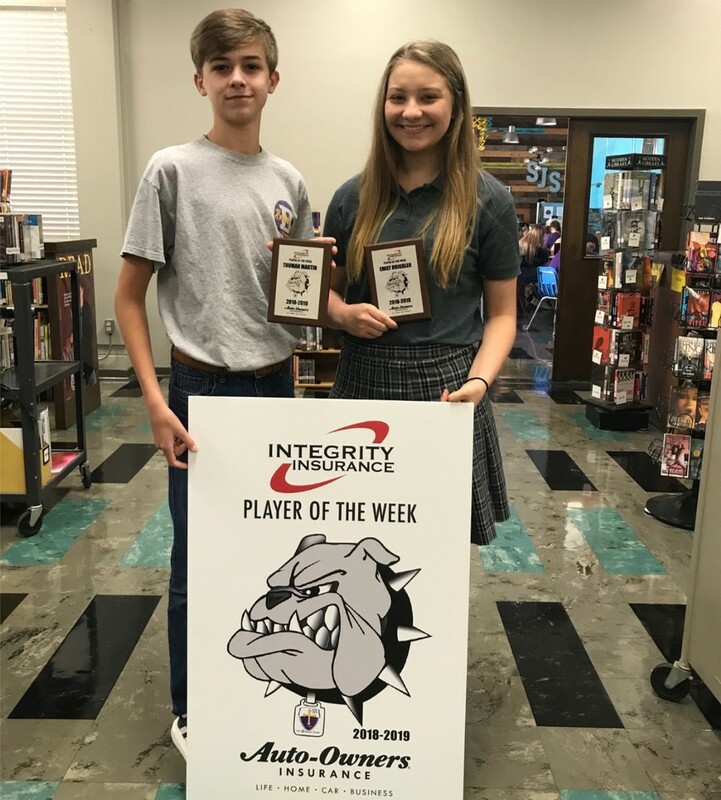 The two SJS athletes chosen as the Integrity/Auto-Owners "Players of the Week" are sophomore Truman Martin and junior Emily Briggler. Truman runs cross country and is also a member of the bowling team. Emily is currently on the varsity volleyball team and she plays basketball and softball as well. Congratulations to these fine student athletes.